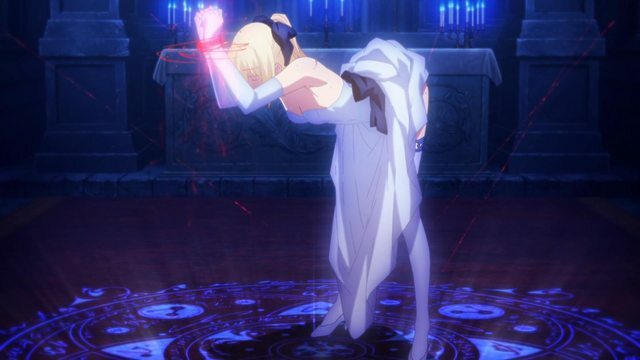 Which episode is this where Saber dress in white and bounded? In Unlimited Blade Works, which episode was Saber bounded up and was in a white dress being raped by Caster? The screenshot itself is from episode 13 (or S2 episode 1). By the way she isn't being raped (not even in the visual novel). Caster just tortures her to make her lose her mind so she would want the pleasure by herself. Why do Saber and Rin sound disappointed when they see inside Shiro's shed? What was Tohsaka doing watching the dojo lately?